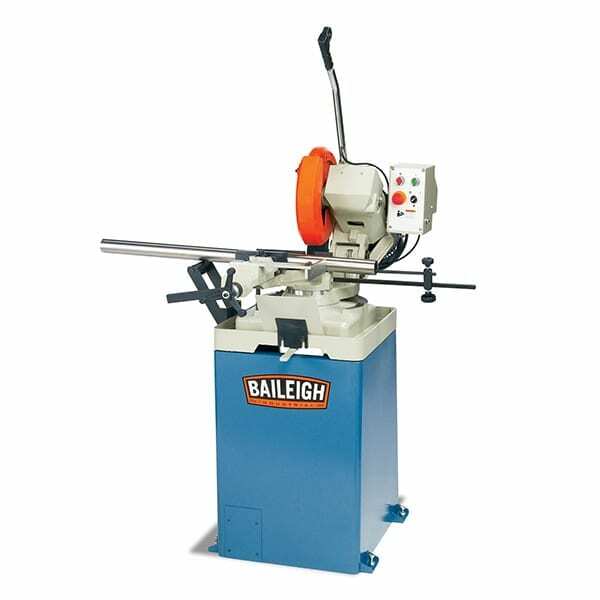 The Baileigh DP 1500G Drill Press is a gear driven drill press and is rigidly designed for heavy drilling. 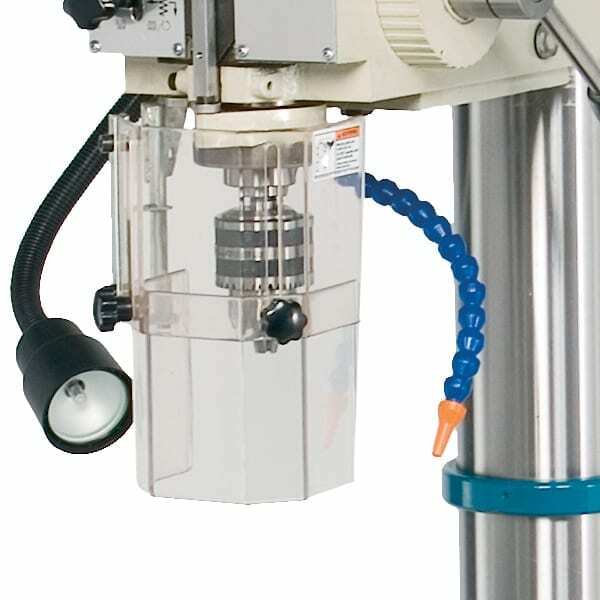 The column is a massive 5.5″ diameter to help reduce possible flexing during heavy feeds at maximum capacity, which is 1.5″ through mild steel. 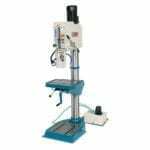 The base and table are made from a heavy casting and both have large T-slots to ensure a proper hold of the material being drilled. 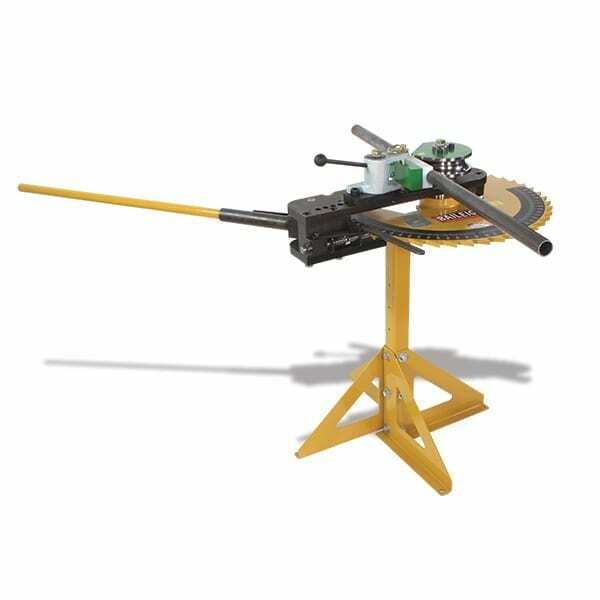 The DP-1500G has a heavy, industrial-grade gear system that allows for an array of speeds to work with many different materials for drilling and tapping. To properly transfer the power from the gear head drill press to the material the drill uses a #4 morse taper. 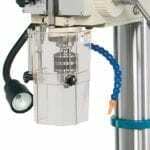 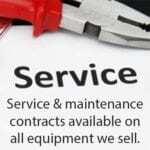 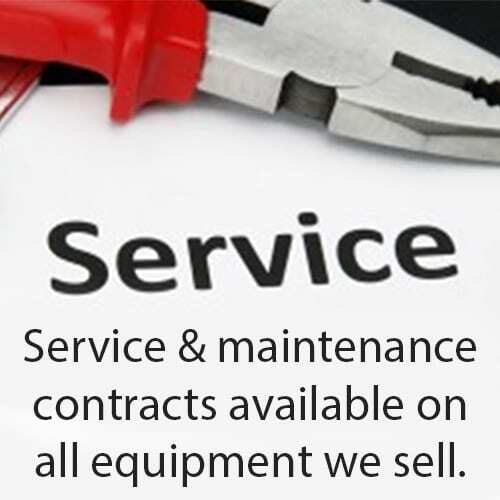 The DP-1500G comes with a coolant system, safety guarding, a chuck and a halogen light. 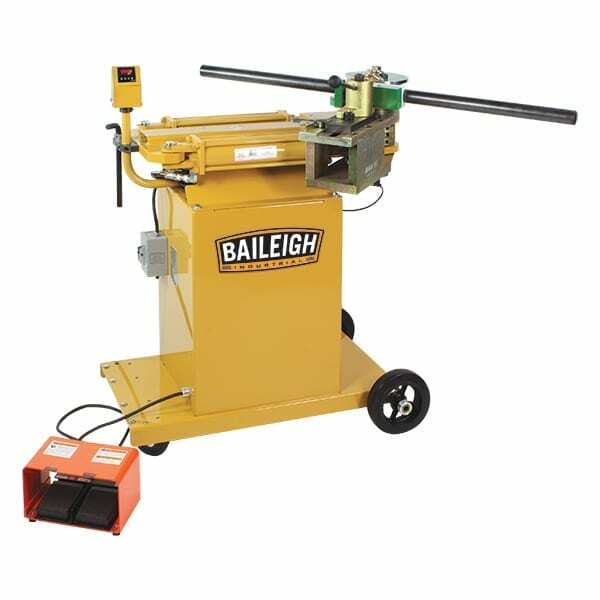 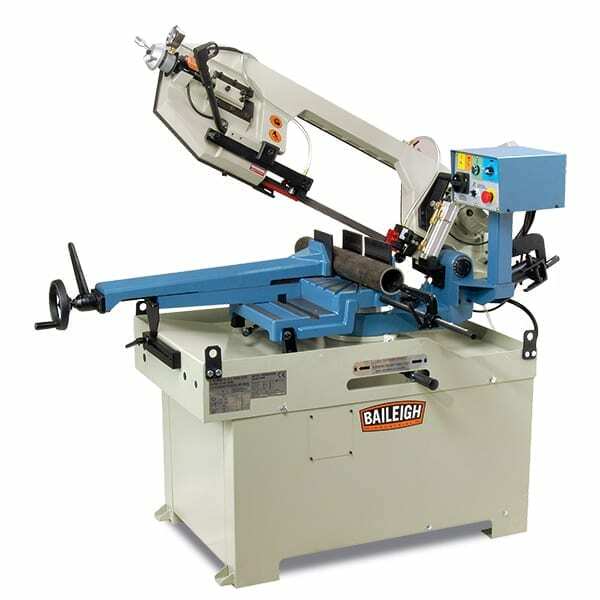 This Baileigh Industrial drill press offers a lot of power at a very economical value to the machine shop or fabrication shop owner.